Rohret Buchner is the pen name for Bronwyn Long, a nurse by day and writer by night. Her genres are sci-fi/fantasy and historical fiction. The Shalemar Trilogy — Length of Days, Poetry of Days, and the forthcoming Wonder of Days — is a sci-fi/fantasy series that incorporates historical fiction, political intrigue, epic fantasy, and romance. The series explores what happens when a woman from the modern world finds herself in a hidden world that has evolved separately over the last 500 years, and what happens when the modern world “discovers” this world. 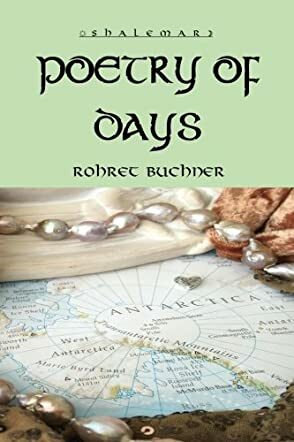 Poetry of Days is the second installment in the Shalemar series by Rohret Buchner, an epic fantasy that follows Shara Kennington, separated from her land and her people by powerful forces of evil. Now it's time to face her fears and choose between her safety and her people. She sets out on a gritty odyssey with members of The Circle, and the mysterious sword, Milton. The quest is for the hidden depths of the world beneath the Antarctic. Does she have what it takes to fulfill a prophecy they have awaited for 500 years? The lyricism of the prose is delightful to the ear, language that is filled with symbolism, and a world where danger lurks around the next corner. But there is hope: "Life would find a way, rising through magma, feldspar, and molten glass. Life would find a way." The reader is intrigued and wants to know what will happen to the protagonist. Poetry of Days is brilliantly accomplished, with great imagination accompanied by skillful execution. I couldn’t put it down, gripped by the cinematic nature of the writing, the exquisite beauty of the prose, and the sophistication in plot and character; it carried me through the night.